Two of the most fundamental cell processes serve as evidence for the idea that life began and adapted spontaneously, given the right conditions. While each process requires several enzymes and protein complexes, the overall process is energetically favorable. In order for any process to develop in life, it must be energetically favorable. Energy rules all, including living organisms. These two processes are photosynthesis and respiration and both take place within parts of the cell that don’t even share the same DNA: the chloroplasts and mitochondria, respectively. Photosynthesis is the process of harnessing light energy and storing it within the chemical bonds of a sugar. Respiration is the breaking of sugars to release energy to be converted into usable forms by the body. Our body cells, along with many other organisms, run on the energy held in the bonds of an “energy carrier” molecule. The energy carrier molecule, called ATP, contains a nitrogenous base, a sugar and three phosphorus-based (called phosphate) groups. When an ATP molecule loses a phosphate group, energy is released and we call the molecule ADP. The energy stored in that third phosphate bond is the most common source of energy for every cell in your body. The T and D stand for “tri-” and “di-“, referring to the amount of phosphate groups attached to the molecule. Photosynthesis is the source of almost all the oxygen in our atmosphere. While respiration likely adapted afterward, since it needs oxygen, we’ll go over it first. Respiration is named after our breathing because it is an overall exchange of oxygen for carbon dioxide. The first part of respiration is the splitting of sugar bonds using a series of specialized enzymes in a process called glycolysis. The series of reactions results in an overall release of energy. It also forms a few ATP molecules and some free protons that are collected and held by proton-carrier molecules. Glycolysis also creates an acidic waste product from the sugar that, when concentrated, can kill cells and induce pain; you know this as “feeling the burn.” Those acids are broken down further to be released as carbon dioxide. The released protons from glycolysis are carried by the proton-carriers to a group of four enzyme complexes called an electron transport chain. There are many groups of enzymes embedded into the folded inner membrane of the mitochondria, allowing for more reactions to occur. The complexes work to take the protons and push them through the membrane to cause a buildup of charge. To maintain a constant overall charge, electrons hop from complex to complex. The positively charged protons on one side of the membrane are energetically unstable, but a gateway in the membrane allows the protons to diffuse back across. The enzyme providing passage through the membrane is called ATP synthase because it makes ATP. It is made up of several proteins structured like a spinning mushroom with a channel for protons to pass through. The head of the enzyme is composed of three proteins that can grab hold of ADP and an extra phosphate group. At all times, one protein is closed, one is partially open and one is fully open. When protons flow through the channel, their movement energy is transferred to the enzyme to cause the head to spin. When the head spins, the proteins change conformation in unison. Reactants collected by open regions are bonded together when it closes and released when it partially opens before repeating the process. The protons thrust across the membrane are then “caught” by oxygen molecules, creating water. 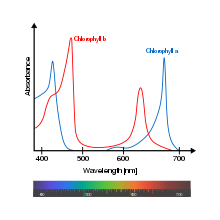 Photosynthesis starts when light is absorbed by a pigment protein called chlorophyll. The photons transfer their energy to the electrons of chlorophyll which hop off the molecule before they are picked up by electron-carrying molecules. Some of the electrons hop along an electron transport chain within the stacked membranes of a chloroplast to make some emergency ATP. However, most of the electrons will be carried to another part of the chloroplast to continue the reaction after the sun goes down. The chlorophyll, now lacking electrons will steal them by breaking the bond of a nearby water molecule, forming oxygen molecules as a waste product. Our planet rotates, meaning half of all time is spent in the dark. Organisms that allocated more resources toward gathering electrons in the daytime had more to work with when the sun went down. An enzyme then takes the electrons, carbon dioxide and a bit of energy from surrounding ATP molecules to convert carbon dioxide into longer carbohydrate chains. These chains then loop around to become an energetically dense but stable sugar molecule. When you take a moment to look at the basic processes happening within every cell of a living organism, your perspective broadens to include the complexities of our existence. The molecules and enzymes used in these processes are merely carriers for the true players: the protons and electrons. Electrons, harvested from chlorophyll, are stored in sugars and those sugars are then broken down for their protons to spin an enzyme, creating an accessible energy source for the organism. It is symbiotically perfect that life exists because of the trading of waste molecules between the photosynthesizers and respirators. Nature does not waste, it only recycles.